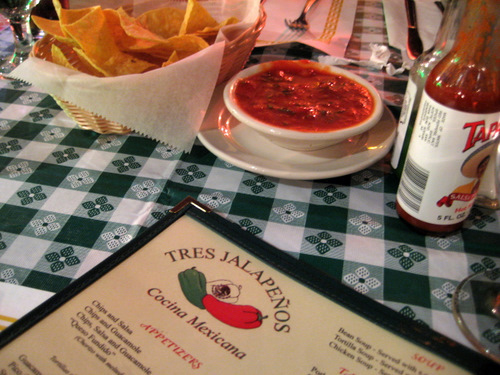 I infiltrated a dinner of south philly residents to check out Tres Jalapenos, a fairly new byob mexican joint on Christian. 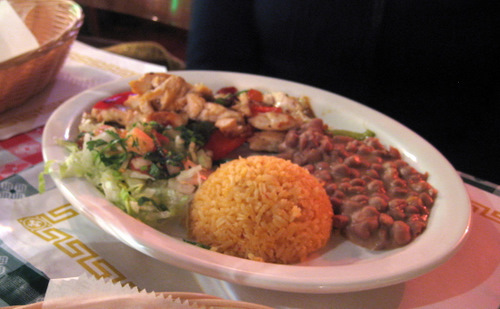 Yes, they’re a byob, with cheesy and kitschy mexican decorations. They host margarita mondays and taco tuesdays. Also, unrelated to food, one of the partners hosts a conversational spanish class there on wednesdays. So don’t say that blogs are not educational. The chips are good but the salsa is kind of weird, like it couldn’t quite make up its mind about how it wanted to taste. 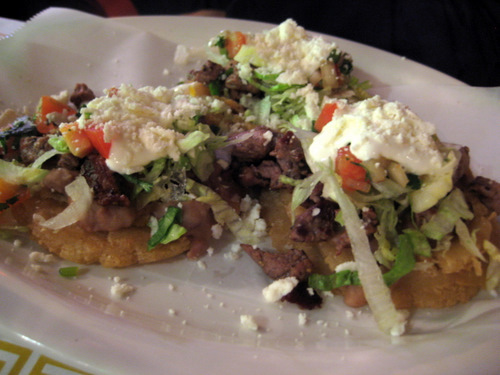 The steak sopes. These are quite attractive, to me. 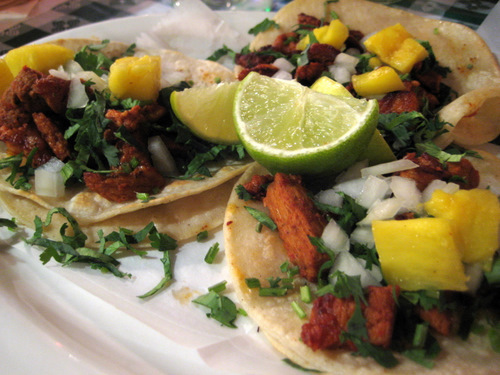 I got the tacos al pastor. They weren’t the greatest in the world, but they were quite respectable, and the pineapple was surprisingly sweet. They were on two corn tortillas and topped with onions and cilantro, so at least they were trying to be authentic. I got a side of rice too and that was pretty boring. 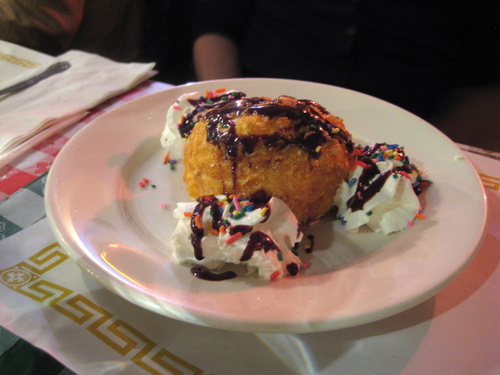 Fried ice cream… does this bring back memories of chi-chi’s for everyone? 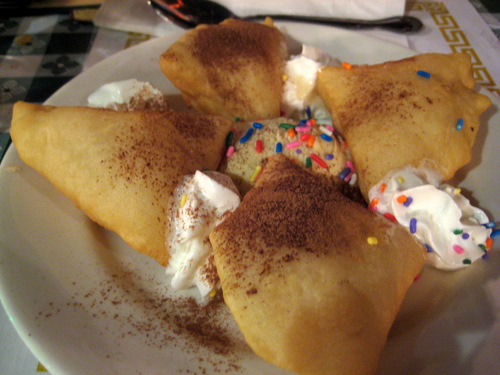 The sopapillas… the sprinkles really knock this up a notch! I think I prefer the tacquerias not so far from this place for authentic mexican, but this is a pretty fun place. It doesn’t take itself too seriously and all the staff were very nice, even to a giant table like ours. It’s pretty big too and can accommodate large parties. And you can booze it up on your own. You’re in point of fact a good webmaster. The web site loading speed is incredible. It kind of feels that you are doing any distinctive trick. Furthermore, The contents are masterwork. you have performed a great task on this matter!